Kendra Scott is committed to supporting local Children’s Miracle Network Hospitals and is using Children’s Hospitals Week 2019 to give back even more. 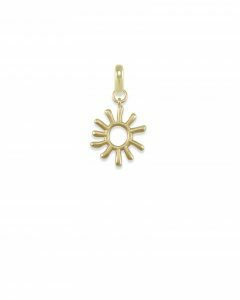 50% of the proceeds of the Children Charm always go back to support your local Children’s Miracle Network Hospitals. On March 18 in honor of Children’s Hospitals Week 2019, 100% of the proceeds of the charm will go to your local CMN Hospital. Click here to order your charm now! Kendra Scott will also be raising money on https://www.kendrascott.com/ during Children’s Hospitals Week 2019 (March 18-24) with the option to give after making an online purchase. Use this week to join the #ChildrensHospitalsWeek and #YouDoGood conversation, show your style and make a difference! Next post: Love’s loves Children’s Hospitals Week!